Geometric shapes are the hottest jewelry trend. Fun, festive, and funky, geometric jewelry is the perfect way to stay stylish while letting a little loose this summer. 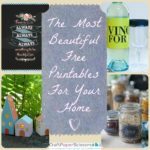 Hot summer days in the office or at the park with your children can be long, so spice it up with any of these stunning DIY jewelry pieces below. 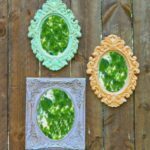 Since everyone is pulled in every direction during the summer, whether it is driving to summer camps, sport practices, or “play dates,” making all six DIY crafts may seem overwhelming. So, to choose which geometric jewelry piece best fits you, discover what shape you are with the list below that AllFreeJewelryMaking has put together for you! 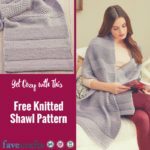 You do not need any knowledge in geometry to rock your geometric jewelry shape; all you need is your free jewelry tutorial and the desire to wear one of these stylish statement pieces. This modern DIY necklace is for those who want to stay stylish but do not think geometric shapes are necessarily for them. 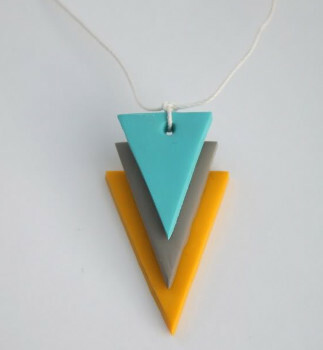 Chic and classy, this Triangle Geometric Necklace is perfect for every occasion and is easy to make. Just because it is geometric does not mean that it cannot stay simple. Our hands are always moving, so dress them up with rings that have some movement and dimensionality. 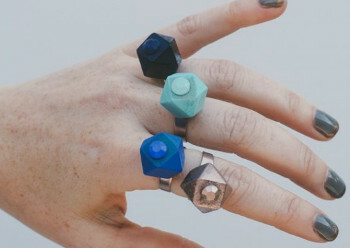 These Geometric Bead Rings are a great and simple way to make your appearance “pop” with style this summer. 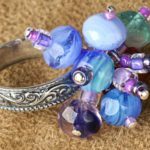 Instead of getting a manicure to dress up your hands, just put on one of these rings and you will instantly feel refreshed. 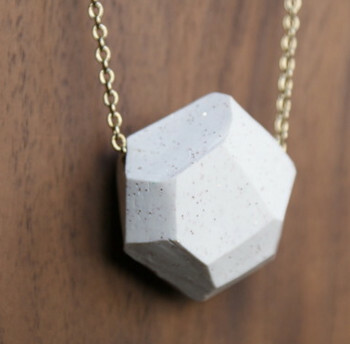 Go for an even six-sided hexagon with this Modern Geometric Pendant. This piece is the perfect necklace for the office, as it looks great paired with a suit. Chic and simple, it is a statement piece that means business. Whoever said business clothes and creative fashion did not mesh well never saw this DIY necklace. For those of you characterized as “sweet” and “kindhearted,” these Contempo Turquoise Earrings are just for you. 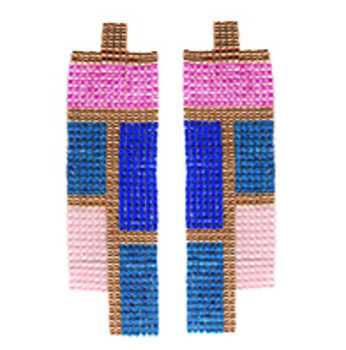 Classic and dainty, these geometric earrings will make everyone of your summer outfits elegant. Yes, that is right, geometric shapes are not just crazy. They can be elegant too. 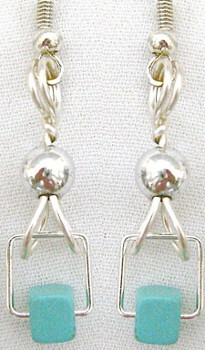 These beautiful and bold earrings are for someone who likes to have some fun with her jewelry. The energetic Deco Darling Earrings are perfect if you are not afraid to show your vintage side with some art deco styles from the 1920s and 1930s. Try something new this summer by bringing back the old and make this DIY craft. These simple and fun Metal Bubble Earrings are the need-to-have pair of earrings for all hoping to either stay youthful a little longer or add a little more vigor to their appearance. These earrings combine a classic format with a creative geometric design, making them great summer statement earrings to wear any day of the week. So, which geometric shape are you? 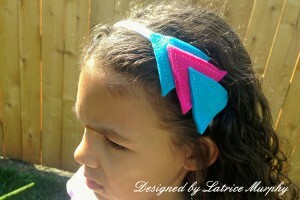 Triangles are showing up just about everywhere so I figured, why not hair accessories too! 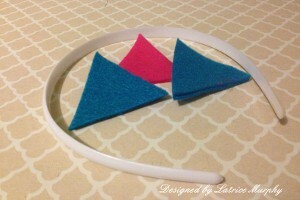 I created a signature felt triangle headband and I have to share with you how I created it. 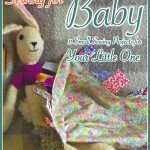 It’s super easy and takes just a few minutes to make. First, start by hand-cutting your triangle shapes. I didn’t measure or anything. After I got a good triangle that I liked, I use it as my template for the others. You’ll need 6 total. 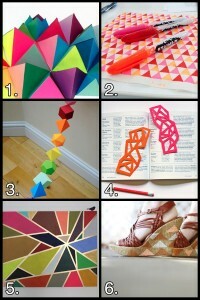 Next, you want to add a very small amount of hot glue to the center of the triangles and create sandwiches. This just holds it together while you stitch. 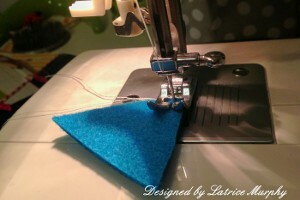 You can either complete he next step using a machine or use embroidery floss to hand stitch. I love the look of both. Sewing by machine is just faster for me. The embroidery floss gives it a much more handmade feel. Then, you want to stack your pieces, overlapping them slightly and gluing it together. 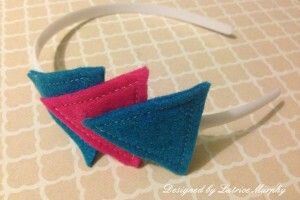 Let it cool and then attach it to the headband with a small strip of felt. We know that you secretly loved your high school geometry class. (Don’t worry—we’re not telling!) And sometimes there’s just nothing better than straight lines and bold shapes to really get your creativity going. So, for all of you polygon-loving makers out there, here are six geometric project ideas that are sure to make your inner mathematician happy! Looking for more math-tastic ideas? Head on over to my Back-to-School Ruler Craft Roundup right here on FaveCrafts! 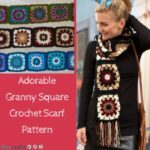 When watching trends in art and craft you should take notice of what motifs you see over and over again. Noticing what motifs are getting exposure will help you understand how trends grow. A motif is a recurring theme, idea, form, shape, or dominant feature. In card making over the last few years the motif of circles and squares (geometric shapes) has been a strong trend. Geometric shapes are easy to design with and easily give balance and harmony to overall design. Jewelry is also using big, bold geometrical shapes. 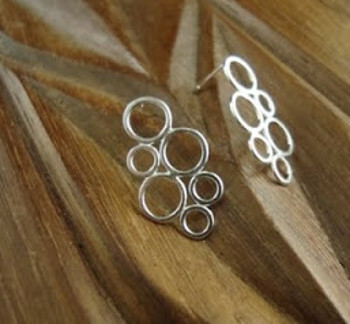 You can mix and match circles, ovals, squares, and triangles or stick with one shape and vary the sizes. There are motifs that have been used for so long that the trend became a classic. 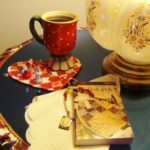 Classics run in cycles, but there is always some form of a classic motif used through out art, craft, and home décor. Classic motifs include roses, hearts, teddy bears, angels, santas, crosses, roosters, insects (bees, butterflies, dragonflies), fruits (apple, pineapple, pear, grapes), goose, and trees (oak, palm, maple). 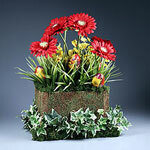 Trend experts are including angels, bees, roosters, grapes, and hearts as leading motifs in lifestyle for 2009. After researching current magazines and internet hot spots, I’d throw in chunky, bulky shapes and butterflies will be popping up in art, craft, fashion, and home décor.